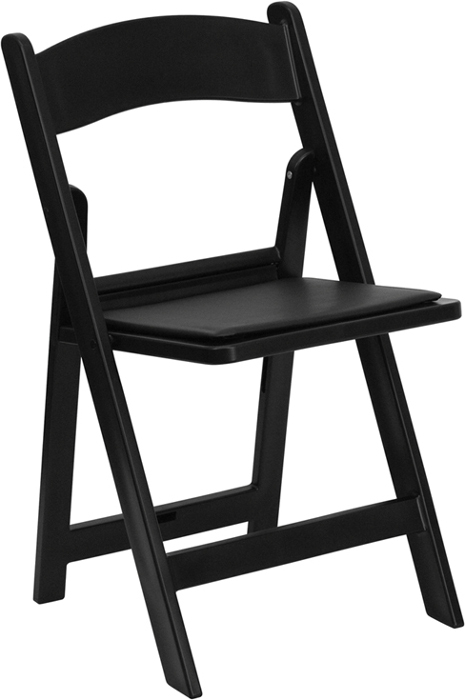 This outdoor black resin folding chair is one of the most popular chairs for outdoor events & weddings. Constructed from injection molded polypropylene with stainless steel hardware. The seat is removable , as well as replaceable.